The singer stopped by Beats 1 to discuss the track with Julie Adenuga. Jorja Smith recently stopped by Beats 1 to announce her upcoming single and discuss the process of recording the track with Julie Adenuga. 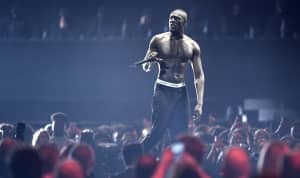 "Let Me Down" features Stormzy and will premiere on Beats 1 later this week. Revisit Jorja Smith's GEN F profile here and Stormzy's cover story from the FADER's Diaspora Issue here. Jorja Smith is this week’s U.K. Represent on Julie Adenuga’s Beats 1 show. Listen all this week to hear the rest of the interview via apple.co/julie starting from 9 a.m EST/2 p.m. GMT, January 9. Thumbnail image: Francesca Allen and Carlota Guerrero for The FADER.